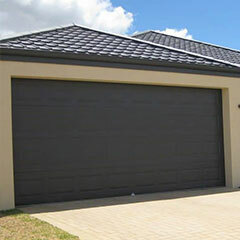 Aus-Secure garage roller doors Perth are made from a ribbed steel curtain that rolls up onto a drum. 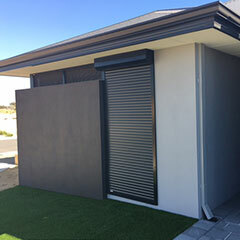 Our top-quality roller doors are also extremely affordable, durable and suitable for garages, sheds, and carports at your home or commercial property in the Perth Metro or Mandurah. 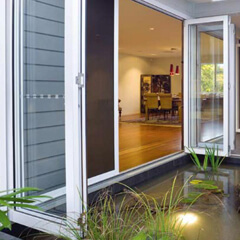 Smart Intelligent Sensitivity System reacts to door obstructions to minimise the risk of damage to persons and property. 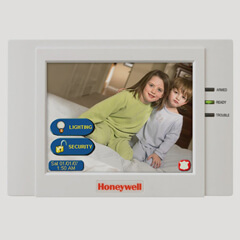 Ready integration with other automatic technology products. Custom operating modes that provide greater flexibility for your garage. Vacation to block out all but one transmitter. Pet and Pedestrian – Providing a limited opening non-vehicular access. SecuraCode code hopping technology generates a new random code from over 4.29 billion possibilities with each use of a transmitter. This opener is housed in a weatherproof enclosure rated to IP24 and offers protection from rain and elements. IP24 Weather Resistant Housing – A rubber seal between the outer housing halves and a specially isolated control board allows this motor to be safely exposed to the elements. Keyed Lockout (Fitted as Standard) – Stopping the manual disengage from being used, the keyed lockout fitted standard to every GDO-8v3 shedmaster makes it secure even on perimeter mountings. Lockable Keypad – The lockable keypad prevents operation of the door and the alteration of opener setting from the drive unit. We can ensure your new roller doors fit your individual opening and give you the choice of many Colorbond colour finishes. All our reasonably priced garage roller doors in Perth can be manually operated or motorised for ease of use and convenience. 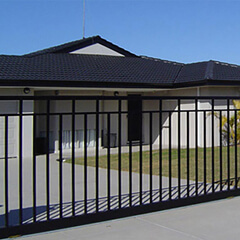 Whether you are building a new home or renovating an existing garage or carport in Perth, Aus-Secure can supply you with roller doors that are right for you and your property. 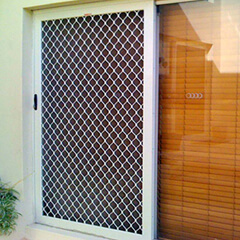 Contact Aus-Secure today to enquire about our famous garage roller doors that Perth residents, property investors and business owners rely on.